Click here to purchase from DriveThruRPG and help our show. Hong Kong: China — the worlds greatest bastion of capitalism is now engulfed in the coils of the Communist dragon. But more important changes are afoot in this crossroads city, where vampire and werewolf, ghost and Goblin Spider, mage and mummy mingle. The future is now, and tonight's deeds may lead to apocalyptic retribution in the mortal and spirit worlds alike. 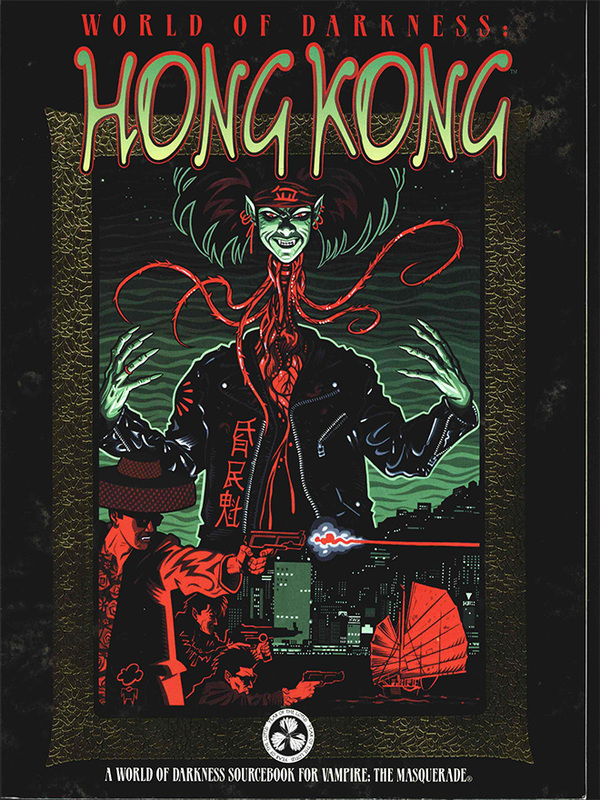 World of Darkness: Hong Kong is a city book that describes the unique and deadly metropolis of Hong Kong. This volume includes a never-before-seen mix of all character types, from vampires to wraiths to mages. All have their roles to play in the spirits game. Click Here to purchase, just like up above! The new edition of Vampire: The Masquerade is an updated, revised version of the popular classic. In this mammoth volume can be found all 13 clans, all major Disciplines, and a host of brand-new information on both the Kindred and the. . . things. . . that hunt them. This book compiles everything that a Vampire player and Storyteller needs to know about the Kindred and the World of Darkness for the new millennium. Plus, the new edition provides all-new information on the changes that afflict the clans, and on the beginning of the end of the Camarilla. Finally, the first of the Storyteller rulebooks is the best again. Seriously, if you don't click on the photo to buy this book, well, something terrible WILL happen. The Kindred hide among the men, eking out their bloodthirsty unlives under a veil of deception, yet certain mysteries remain obscured from even the cleverest vampire's sight. Who else stalks the Final Nights? What of their powers? And what terrible secrets do they carry? 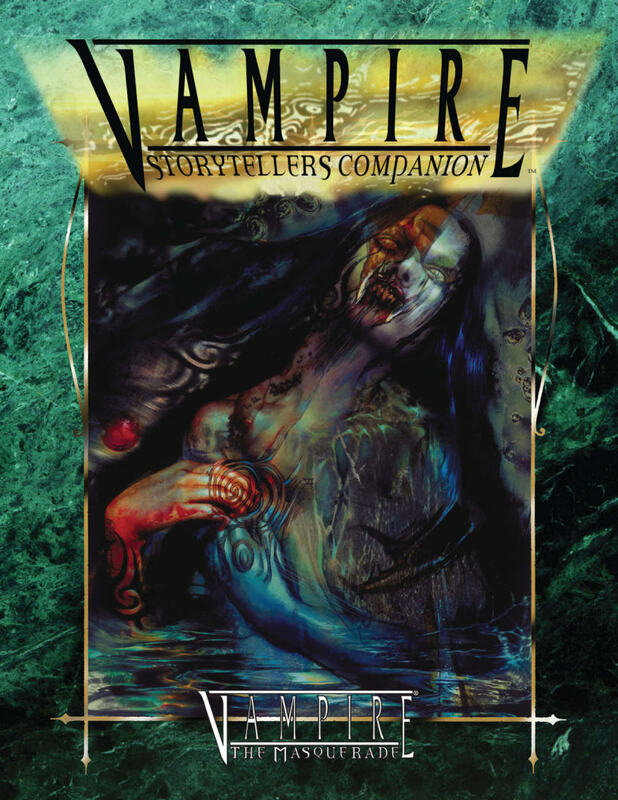 Vampire Storytellers Companion collects new rules, abilities, and bloodlines to aid Storytellers in their task of world-building. 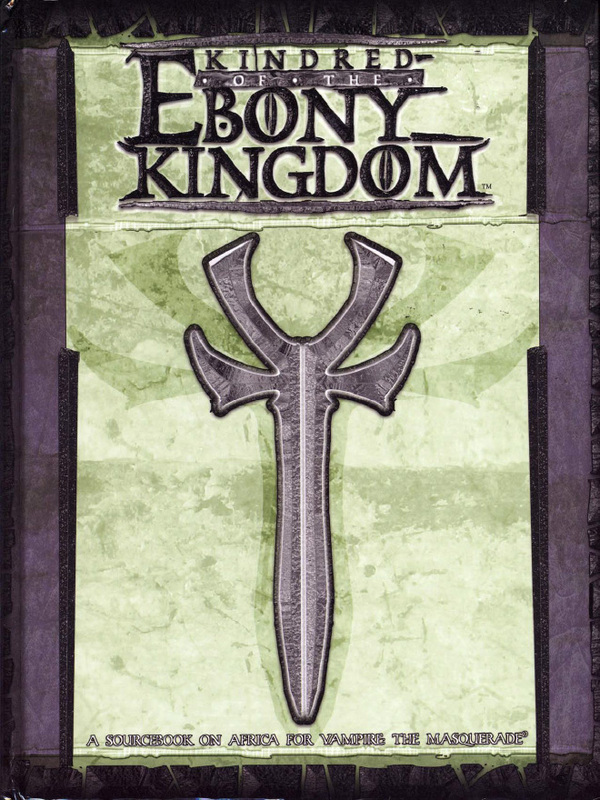 This book presents new information on the less numerous kindred of the World of Darkness as well as an expanded weapons list and frightening Disciplines only rumored by the kindred of the Camarilla and Sabbat alike. It's a valuable resource for Storytellers who wish to unleash forgotten terrors and new machinations upon their player's characters. Welcome to the first episode of "25 Years of Vampire: The Masquerade." In each episode of this podcast, we will review each "Vampire" book in chronological order. We Present to you, episode one, Vampire: The Masquerade 1st edition, first issued in 1991. Vampire: The Masquerade is a tabletop role-playing game (tabletop RPG) created by Mark Rein-Hagen and released in 1991 by White Wolf Publishing as the first of several Storyteller System games for its World of Darkness setting line. It's set in a fictionalized "gothic-punk" version of the modern world, where players assume the roles of vampires, who are referred to as "Kindred", and deal with their night-to-night struggles against their own bestial natures, vampire hunters and each other.